We had Isaak's conferences last night. Isaak's doing good as well. He's ready to start first grade. Of course he has to wait until the fall. I loved how Isaak's teacher had things prepared for us to look at. Report cards were sent earlier, but she had a sheet for what he's doing well in, and what he needs to work on. She said that most of the kids need to work on the things that are listed in that category. That's ok, we still like to help him at home with those things. One biggy thing to work on is listening for all the instructions. Many in the class listen to the first half, and then have trouble listening to the rest to get full understanding. You know with word problems they have to listen to the whole thing! Isaak reads at a second grade reading level, but isn't a confident reader just yet. He says he can't read things when he can. Does that even make sense? It's funny because Mica was like that to only with coloring and cutting. He didn't want to do them until he mastered the skills better. 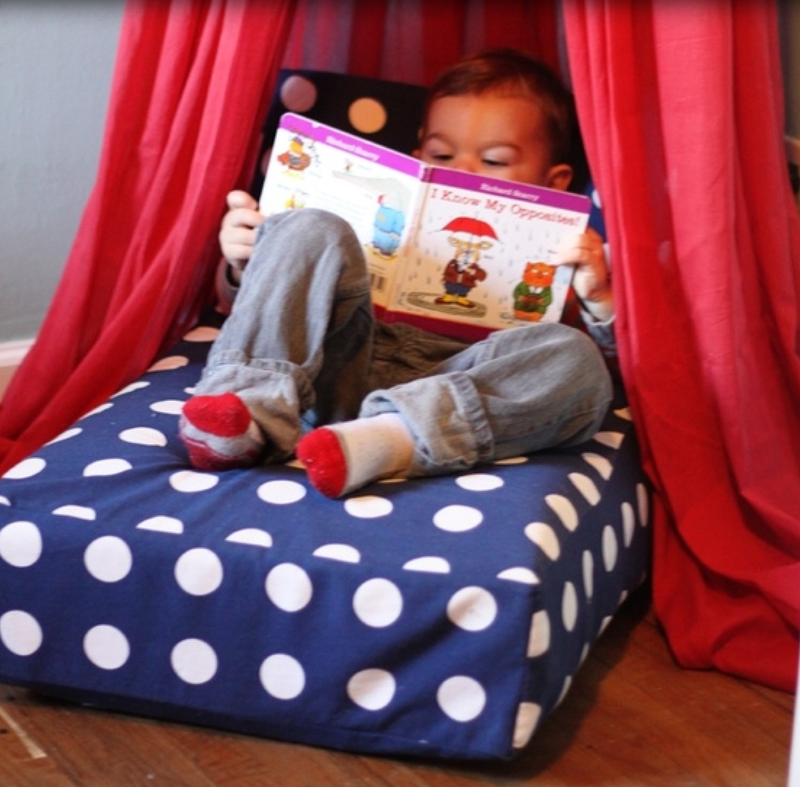 I'm super excited for their classroom: There was an unused space that his teacher is turning into a reading nook. I told her about ideas I've seen on Pinterest for that. A crib mattress and a tent. Daddy was like, when are we leaving? I was kind of chatty with his teacher. She seems so nice! 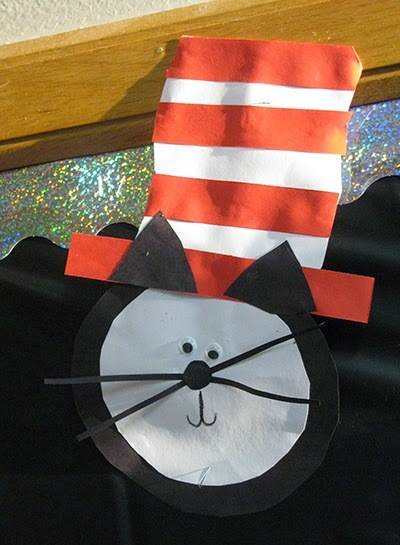 Here's a project that the Kindergartener's did. I'm not sure if it's Isaak's Cat in the Hat, or not. She has them put their names on the back. She said she's tried having them put their names on the front, but then they pick off their googly eyes off their own. Problem solved. As I suspected, there was no need for me to go in to our conferences last night, but Allison's teacher is also chatty, so I ended up staying for 20 minutes. Thankfully, I am done with them forever now lol. I love the little Cat in the Hat! Cute project! Oh, and the nook too is awesome! Our teachers usually have work prepared at the kids teacher conferences. For the spring, conferences aren't necessarily required. I got a notice home from my oldest's teacher the other day that we could have one if we wanted, but he was doing well so it wasn't necessary. With the little one, the teacher wants to see us, so we are going next week. we have conferences coming up too. I sure don't miss going to all the teacher conferences. Sounds like he has a great teacher.